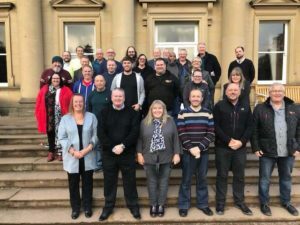 The GMB Political weekend was attended by R75 Branch Secretary Neil Lockwood which took place over the weekend of 17th and 18th November 2018@ Wortley Hall. Speakers Included, Paul Mesaros from Hope not Hate, Stephanie Peacock MP,Dan Jarvis MP,Richard Burgon MP, Colin Burgon and Chris Peace Prospective Labour Parliamentary candidate for N.E. Derbyshire. A special mention and thanks to Steve Jennings and the team for organising the weekend. Also not forgetting all the GMB comrades who attended and to Regional President Cath Pinder on her first official engagement in her new post.